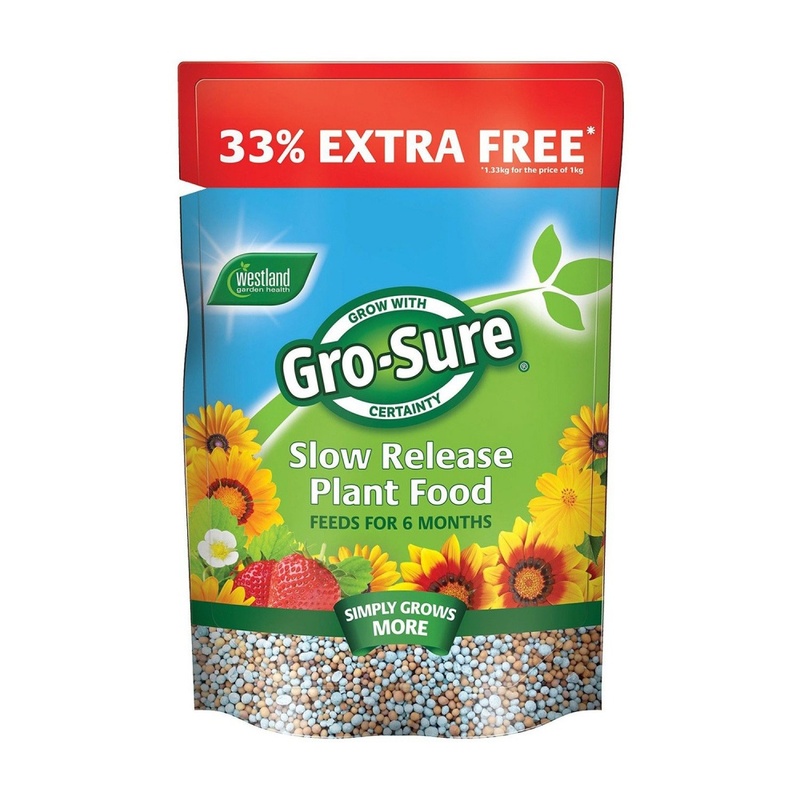 Westland Gro-Sure® 6 Month Slow Release Plant Feed 1kg Pouch with 33% extra free, supplies round tablets of plant food ideal for long life feeding of hard to reach baskets, pots & containers. One scattered handful of granules is approx 40g, easily scattered over soil area of planted baskets or containers. 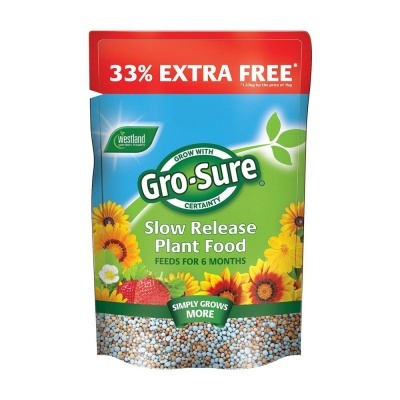 Granules become active once watered so well suited as a slow plant feed for a full growing season. Suitable for all plants, and beneficial for all plants. 1.33kg for the price of 1kg.